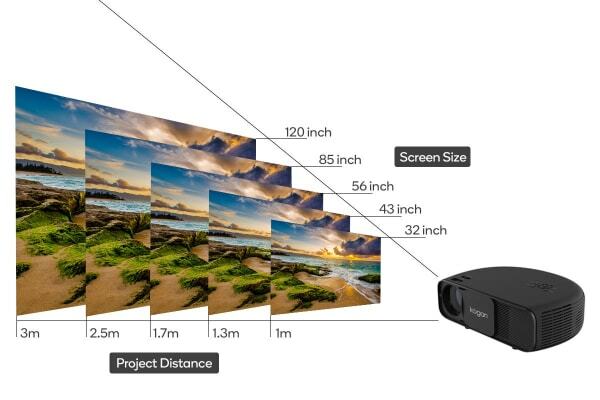 Considering a projector but hesitant about the cost and size? The Kogan 3200 Lumens HD Projector offers a compact, fantastic value solution which doesn’t compromise on quality. The 3200 lumens of brightness recreates images in super-vivid detail without overexposure, and the HD capabilities mean that even Blu-ray and gaming content will stay sharp, even up to 120”. 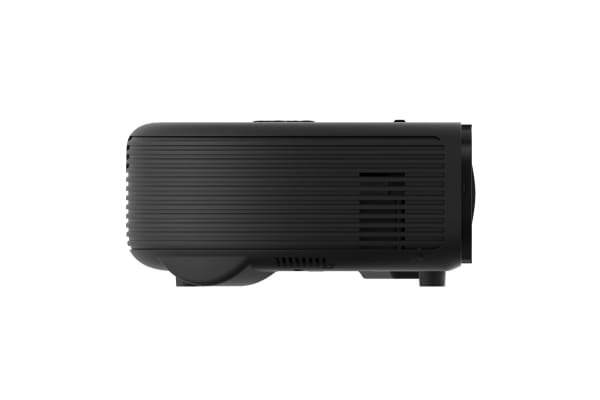 The Kogan 3200 Lumens HD Projector weighs only 2.2kg. You can easily transport it for movie night at a friend’s place, or take it from office to office when making presentations. The lightweight design also means that you can mount it more easily and securely without worrying about instability or damage to walls and ceilings. Otherwise, just set it on a tabletop for a great picture without the fuss. 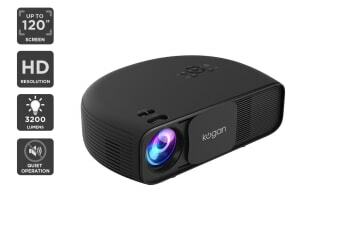 With a multimedia interface, the Kogan 3200 Lumens HD Projector connects with all your favourite devices, like notebooks, USBs, mini PCs and compute sticks, Nintendo Switch and even Google Chromecast 2!